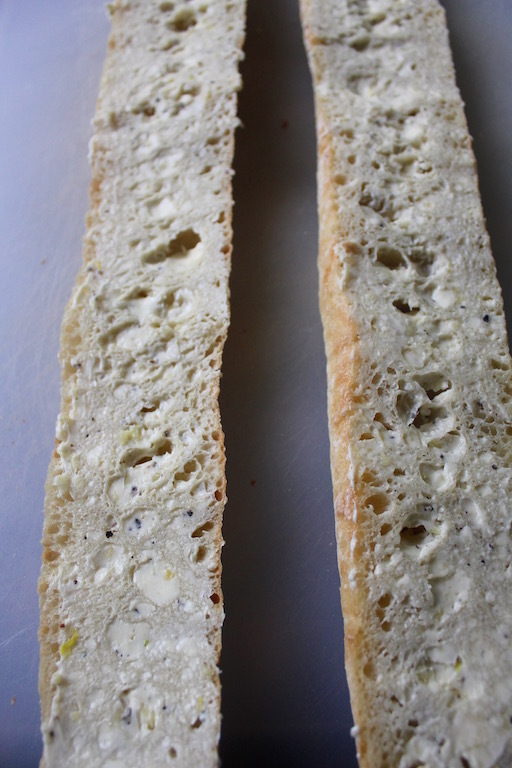 Make the bread up to two hours in advance without broiling. Simply place the two halves together and let sit at room temperature until dinner. 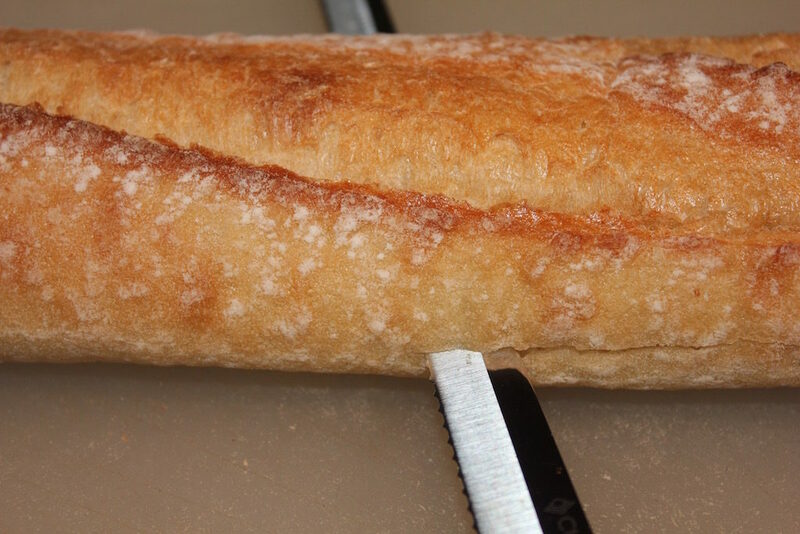 Preheat the broiler with the top rack on the second level from the top and slice the loaf in half lengthwise. Smash the garlic with the side of a chef’s knife and sprinkle the salt over the garlic. 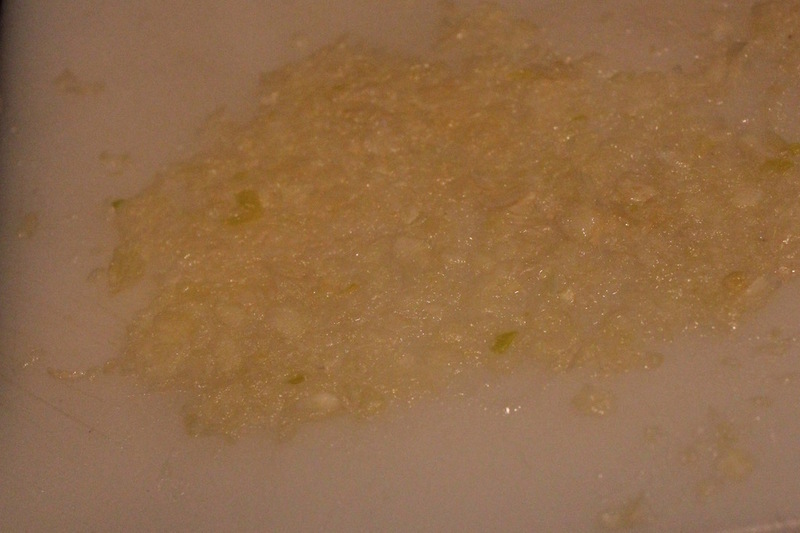 Scrape the garlic and salt with the blade of the knife to make a puree. 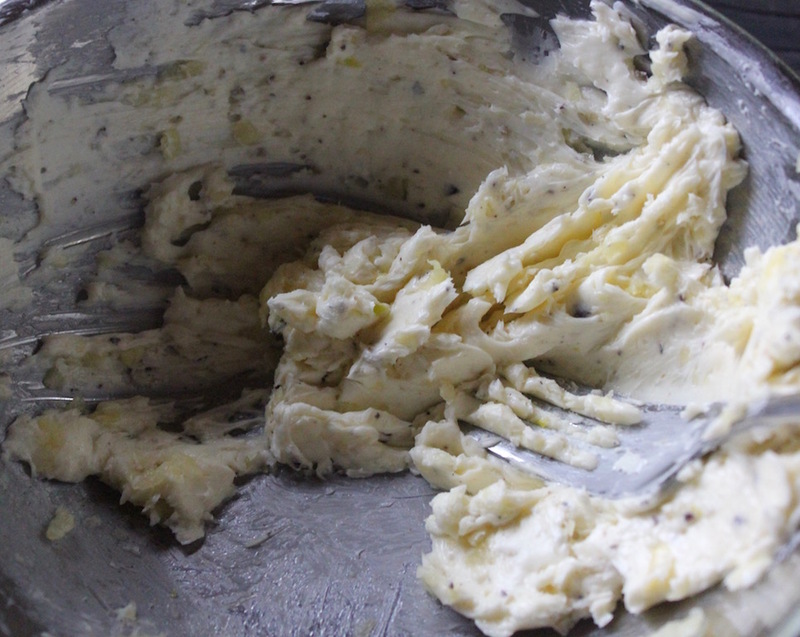 Combine the butter, garlic, salt and pepper in a small bowl. 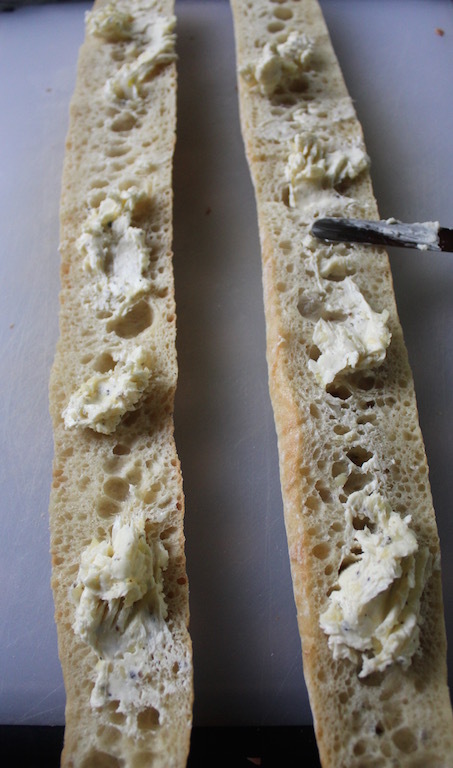 spread with an offset spatula or kitchen knife. Place the bread in the oven on the second rack from the top and leave the door slightly ajar. Cook for approximately 4 to 5 minutes, the bread should be golden brown on the edges. 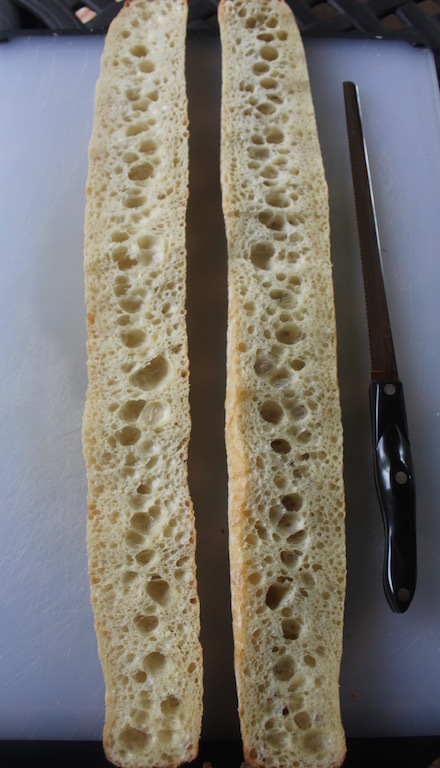 Make the bread up to two hours in advance without broiling. Simply place the two buttered halves together and let sit at room temperature until dinner. Spread one-half the butter over each half loaf. Place the bread in the oven on the second rack from the top and leave the door slightly ajar. Cook for approximately 4 to 5 minutes, the bread should be golden brown on the edges.